The registration details of the currently selected mobile device are shown here. Tests whether the mobile device is still registred on Firebase. 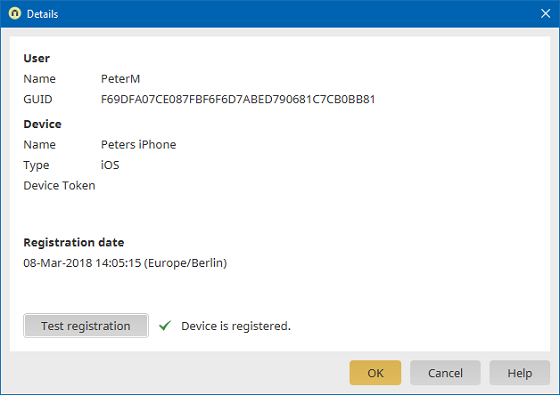 The Firebase registration could be missing if, for example, the Intrexx mobile app was deleted on the corresponding device. It can then be deleted manually on the overview.